Many of the best weird fiction writers (and creators in most other media) have been profoundly influenced by the genre and the mythos H.P. Lovecraft created eight decades ago. Lovecraft's themes of cosmic indifference, minds invaded by the alien, and the horrors of history - written with a pervasive atmosphere of unexplainable dread-- are more relevant than ever as we explore the mysteries of a universe in which our planet is infinitesimal and climatic change is overwhelming it. 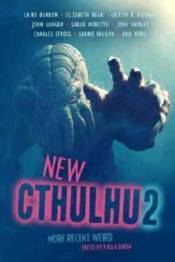 A few years ago, 'New Cthulhu: The Recent Weird' presented some of the best of this new Lovecraftian fiction from the first decade of the twenty-first century. Now, this collection brings you more eldritch tales and even fresher fiction inspired by Lovecraft.